KABUL: Afghan President Mohammad Ashraf Ghani Ahmadzai will reach Pakistan on November 14, 2014 to discuss the reconciliation process in Afghanistan. According to diplomatic sources, Afghan President Ashraf Ghani will present his five years vision to Pakistani leadership. The sources further said that Afghan Government wanted to establish strong diplomatic, traditional,political relations with Pakistan. Meanwhile, yesterday, Afghan President Ashraf Ghani said that said Islamabad’s stance on peace process in Afghanistan would be ascertained within the next few weeks. Speaking during a press conference following his return from 4-day state in China, President Ghani informed of wider perspective of the new government of Afghanistan regarding the peace process. President Ghani said Beijing was attracted by the national and international perspective of the new government of Afghanistan. He said the government of Afghanistan will start talks with Islamabad regarding the Afghan peace process on short term, mid term and long term basis. 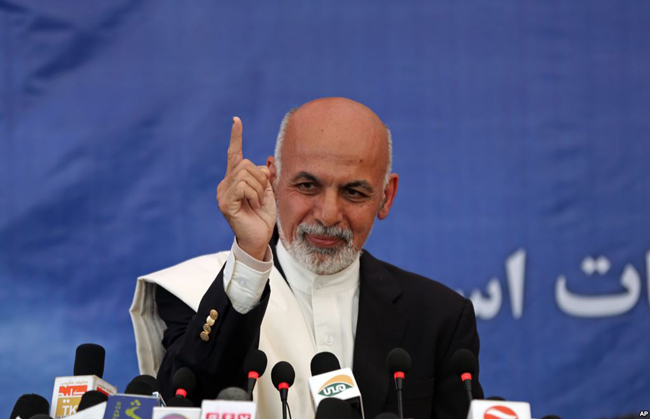 According to President Ghani, Beijing is prepared to assist Afghanistan regarding the peace process. President Ghani said Saudi Arabia and Turkey will step in to assist the Afghan government in peace talks with the anti-government armed militant groups.